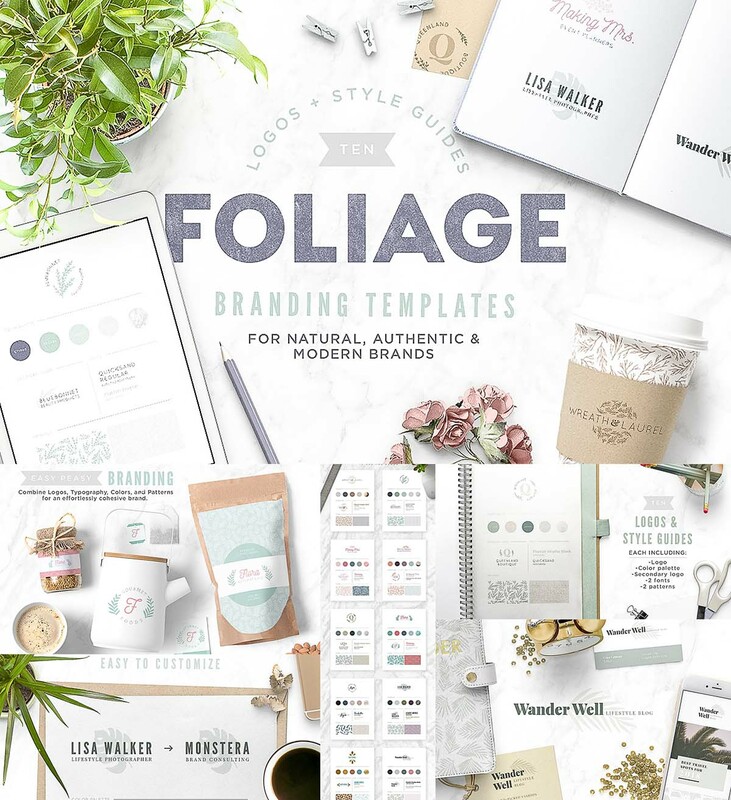 This set provides 10 unique branding suites, each of these includes-A primary logo; A secondary logo (usually a simplified version or alternate lock-up); A color palette, with 4 colors and 1 texture 2 fonts. Free fonts were used, and a file is provided with links to download. ; 2 beautiful patterns. All of these combined give you a strong foundation for building a brand quickly and easily! These would be great for restaurants, blogs, event planning, natural products, photographers, creatives, and more! Tags: board, cafe logo, color, feminine design, foliage, palette, palm, pattern, premade logo, tropical.